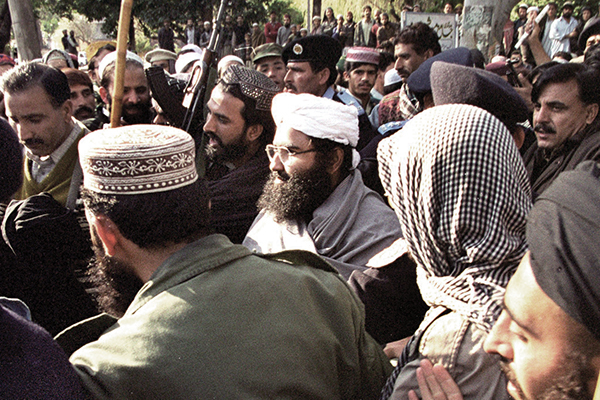 Pathankot Attack Mastermind Jaish-e-Mohammed has been detained by Pakistan establishment and is in protective custody along with other 10-15 associated leaders. According to the Pakistani media, the JeM Chief arrested 1-2 days earlier. There has been 10 -15 arrest from Bahawalpur. Pakistan’s approach has been different with India this time as Pakistan establishment admitted guilty and therefore taken strong action against the mastermind of the terrorist attack. Earlier, when the high-level meeting took place in between Pakistan’s Prime Minister Mr.Nawaz Sharif and Army Chief the concrete action was planned to take against the Pathankot attack mastermind. Well, it’s a time when India should turn around very concrete and ask Pakistan to seal the deal in a very logical manner and ask Pakistan to give us back Masood Azhar because his outfit is banned and he is not a citizen of Pakistan. India now really had to be cautious and must keep in mind that we are dealing with very cunning country despite the fact the there has been a lot of positive response from Pakistan this time. As per the strategic affairs experts, this step could be a bluff from Pakistan to show the world that they are acting against terrorism and are taking actions against the handlers. As far as Foreign Secretary Talks are concerned, talks are going to be held today at Sushma Swaraj residence will decide the further action on this issue. Two important officials of NIA, spokesperson Vikas Swaroop and Joint Secretary of Pakistan Gopal Wagle were arrived at Sushma Swaraj residence, till the written was written. The first meeting is in progress at the residence of Sushma Swaraj in which four prominent people External Affairs Minister Sushma Swaraj, The Foreign Secretary Mr. Jai Shankar, Joint Secretary Pakistan-Afganistan Mr. Wagle and Joint Secretary Vikas Swaroop are present. In a bit from now, Foreign Secretary would be leaving the premises of Sushma Swaraj and will be heading directly to Prime Minister Residence and briefing personally to PM Modi regarding the updates from Pakistan’s action towards the Pathankot attack.